Our overall student satisfaction rate in the National Student Survey 2018 is 86.04%. The Times and The Sunday Times Good University Guide 2019 places us 13th out of 132 institutions. The guide ranks us 5th for graduate prospects and highlights that 86.2% of our students achieve a first or 2:1 degree. We are 6th in the Guardian University Guide 2019, with 12 subjects in the top 10, including number one ranking for Accounting and Finance. The guide ranks universities in nine key areas, including course satisfaction, student-to-staff ratio and graduate prospects. We are ranked joint 4th for employment within six months of graduation. We are ranked 11th out of 131 UK universities in the Complete University Guide 2019. We are also ranked 7th for graduate prospects. The Complete University guide ranks 18 of our subjects in the top ten. We are ranked as the number one place to study Marketing and Architecture in the UK. We are ranked 10th for job prospects and 26th overall in the Whatuni Student Choice Awards 2018. These awards are based on reviews submitted by more than 36,000 students across the UK. In the QS World University Rankings 2019 we have an overall ranking of 158 from over 900 universities internationally. In the Times Higher Education World University Rankings for 2019 we have an overall ranking of 201-250 out of 1,259 universities from around the world. In the 2017 Leiden Ranking, we are 167th in the world for the proportion of our publications that were in the top 10% most frequently cited, compared with other publications in the same field and year. The Leiden Ranking measures the scientific performance of 750 major universities worldwide. Using a sophisticated set of bibliometric indicators, the ranking aims to provide highly accurate measurements of the scientific impact of universities and their involvement in scientific collaboration. The ranking is based on over 25 years' bibliometric experience at the Centre for Science and Technology Studies (CWTS) of Leiden University. The results of the TEF 2017 confirm the excellence of the undergraduate teaching carried out at Bath. 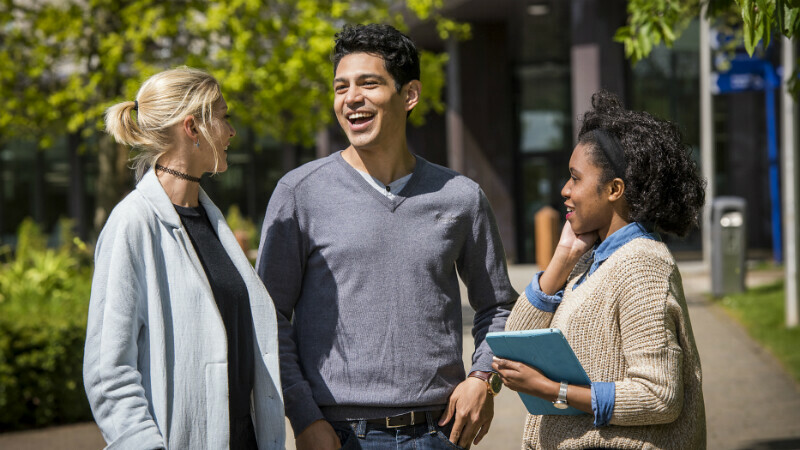 The TEF evaluates universities on criteria including teaching quality, learning environment and student outcomes, taking into account factors such as student satisfaction, retention rates and employment opportunities. The Gold rating means that undergraduate teaching at the University of Bath is of the highest quality found in the UK. The TEF Panel judged that Bath delivers consistently outstanding teaching, learning and outcomes for its undergraduate students. Our students continue to be among the most satisfied in the UK, according to the 2018 National Student Survey (NSS). Our overall student satisfaction rate is 86.04%. Six of our courses achieved 100% overall satisfaction with a further 16 receiving satisfaction ratings of 90% or above. We are ranked 4th overall out of 122 in the THE Student Experience Survey 2018. Our students scored us highly for our facilities (2nd), the extra-curricular activities and societies on offer (2nd), the campus environment (3rd) and for meeting their personal requirements (3rd). Around 20,000 full-time undergraduates took part in the survey. They were asked to judge their student experience across 22 categories, including teaching, wellbeing support and campus facilities. The results of the REF 2014 confirm the excellence of the research carried out at Bath. 32% of our submitted research activity achieved the highest possible REF classification of 4*, defined as world-leading in terms of originality, significance and rigour. 87% was graded 4*/3*, defined as world-leading and internationally excellent. See a detailed breakdown of our REF results. We have been awarded two Queen's Anniversary Prizes for Higher and Further Education. This is the country's most prestigious national recognition for a UK academic or vocational institution. In 2016, we were one of just 21 institutions to be awarded one of these prizes in the 11th biennial round. In 2011, we received the Queen's award for our Department of Social & Policy Sciences' 'Influential research into child poverty and support for vulnerable people'. We were also awarded the prize in 2000 to recognise the 'invaluable services to industrial and scientific communities' of the Centre for Power Transmission & Motion Control.